Happy, at least in this sense, is not just an emotional event. The common definition of happy is too circumstantial, too unpredictable and therefore, not very happy. A.W. Tozer has a good suggestion for a type of “happy” that is substantial and trustworthy. That is very biblical idea for if you find holiness then you will find happiness. Now let us be clear on what Tozer taught. He taught that we should seek holiness and let Jesus take care of the happiness. Oh and by the way, “holiness” can point either to sinless perfection or being set aside for God’s purposes. I will not claim the former except "positionally” in Christ. (My wife would certainly write and demand an editorial correction in any other claim of perfection on my part!) The second aspect is the practical one that we seek. Our mistake is that we seek happiness while neglecting holiness thereby finding neither. So I am willing to put Tozer’s suggestion to the test. How about you? My prayer for you is that you find that elusive happiness that rests in God alone. 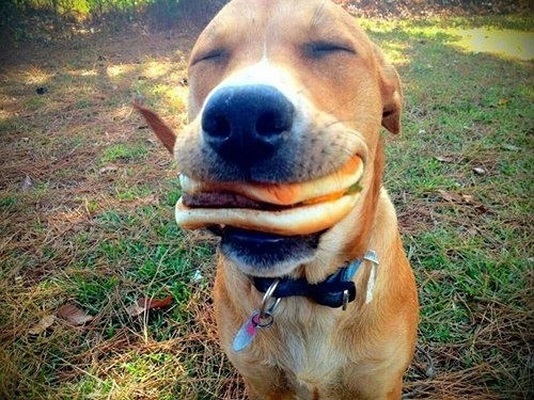 Now if you will excuse me, I have a huge craving for a hamburger.